Based on Message Runner, Vol. 5 “Cutting through the Red Tape” addresses the unique challenges involved in the management of Indian trust land and assets. It includes a collection of the most common forms used by federal agencies and Indian people and provides tips for how to read and process these forms successfully. Contact us to order print copies of “Cutting through the Red Tape” and other ILTF publications. These forms are designed to look as much as possible like the actual federal forms that an Indian landowner or tribe would encounter. However, they should not be mistaken for the real thing. Actual forms must be acquired from the appropriate tribal or federal agency. (See Publications: Land Management Resources for contact information.) Names of individuals, companies, places, numbers, dollar amounts and any other form of personal information found on any of the forms found in this collection are entirely fictitious and meant only to serve as examples of the kind of information that would be displayed. The Individual Trust Interest Report (ITI) is one of the most important documents for an Indian trust land owner to understand. It contains essential information about a landowner’s trust land (surface) and mineral (mineral rights) holdings. For example, it lists the location and size of a trust land allotment, the allottee’s share of undivided interests in an allotment and how much that share is worth. If an Indian person has inherited a lot of interests, the ITI Report can be several pages long and it’s not always clear where one allotment ends and another begins. It’s important for landowners to make this distinction if they are considering selling, exchanging or gift deeding some of their interests. The ITI Report is generated from the Trust Asset and Accounting Management System (TAAMS) at the regional BIA Land Titles and Records Office and mailed to landowners on a quarterly basis. A copy of the ITI Report is required for most land-related applications, such as land consolidations and exchanges, transferring land from fee to trust status and gift deeds. The ITI Report can be requested through the local or regional Bureau of Indian Affairs (BIA) realty office or through the Office of the Special Trustee for American Indians (OST). In order to request a copy of the ITI Report, a landowner will need to provide his or her tribal enrollment number. The Public Land Survey System (PLSS) legal land description is included on the ITI Report and states the exact location of an allotment using land surveying terminology. The description includes the section, township, range, county, state and meridian. A section is equivalent to 640 acres, and most allotments are 160 acres, which would be one quarter of the section. Underneath the words “Legal Description” on the ITI Report is a direction (NE, NW, SE or SW) that identifies which quadrant (or quarter) of the section the land is in. If the allotment is less than 160 acres, there will be two or more directions listed. For example, an 80-acre allotment might have E, SW in the legal description. This would mean that the allotment is in the eastern half of the southwest quadrant of the section. Applications for land exchange, consolidation or sale require ownership interest in equivalent acres. To calculate this, use the information on the ITI Report to multiply the Aggregate Decimal by the Total Section Acres. Note: If the ownership is in undivided interests, this number will not represent an actual plot of land but an estimate of value for the interests owned in a tract of land. The Public Land Survey System (PLSS) land description found on the ITI Report can be used to view a map of the allotment on Google Earth. To install Google Earth (it’s free ) visit Google Earth and click on the button to download the latest version of the program. Next, go to the EarthPoint website page on Township and Tange. Scroll down to the section titled: “Convert Township, Range and Section to Latitude and Longitude.” Referring to the PLSS information on the ITIReport, select the correct information in the drop down boxes on the EarthPoint website. Click on “Fly to On Google Earth” and open the webpage that is automatically created for the allotment. On the map, one line marks the boundaries of the township and another line marks the boundaries of the 640-acre section of land the allotment is in. Use the directions (NE, NW, SE or SW) in the legal land description of the ITI Report to determine the exact location of the allotment. Zoom in and out by double-clicking on the webpage or using the scroll bar at the right. Activate different “Layers” on the webpage to see more map details, such as towns and roads. Individual Indian Monies (IIM) accounts are managed by the Office of the Special Trustee for American Indians (OST), which was established in 1994 as part of the American Indian Trust Fund Management Reform Act. Prior to the establishment of OST, IIM accounts were managed by the BIA. The IIM Statement of Account contains important information about an individual Indian account holder’s income and expenses from the use or sale of a trust asset such as agricultural or grazing leases, coal production, timber harvesting or oil and gas leases. Funds listed on the account statement can also come from a per capita payment or from proceeds from an estate account following a probate. All IIM account funds are invested in government securities and earn interest until they are disbursed. IIM account statements are mailed to account holders on a quarterly basis along with a List of Real Property Assets. However, if the account has a very low balance and does not have any activity for an 18 month period, the beneficiary will receive a statement only once a year. There are three different types of IIM accounts: unrestricted, restricted and estate. An account may be restricted if there is a claim pending against the account, such as for child support; if a current address is not on file (i.e., the beneficiary is on the Whereabouts Unknown list); or if the account holder is a minor. Restricted account funds are disbursed in accordance with a BIA-approved disbursement plan. Estate accounts are established when OST receives notice than an account holder is deceased. Estate accounts remain open, earning income, until the probate process is completed and assets are distributed. The OST’s Trust Beneficiary Call Center is the best place to start if you have a question about your IIM account or account statement. The Call Center is open Monday through Friday, 7:00 a.m. – 6:00 p.m. and Saturday, 8:00 a.m. – 12:00 p.m. (Mountain Time). Call Center staff are trained to respond to nearly all trust account related questions, including information about your account balance, requesting a payment, change of address, setting up direct deposit, and more. The Call Center’s toll-free number is: 1-888-678-6836. OST field staff include six Regional Trust Administrators (RTAs) and 52 Fiduciary Trust Officers (FTOs). 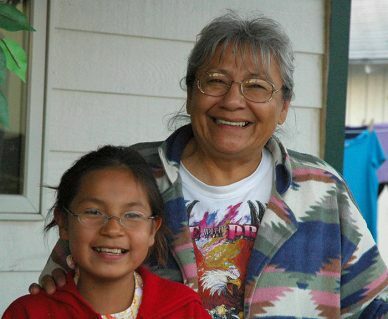 Located across Indian Country, FTOs serve as the primary point of contact for trust beneficiaries and frequently hold outreach meetings for beneficiaries to provide general trust information and to answer questions. Contact the OST Call Center to find the FTO and RTA responsible for overseeing IIM accounts in your area. This List of Real Property Assets offers a quick snapshot of pertinent information about all of an IIM account holder’s trust land holdings. Information is divided into two sections which describe first the trust land holdings and then the various encumbrances (leases, rights of way, etc.) that are held on those lands. Landowners can learn a lot about what they own by looking at this form, including the amount of undivided interest they own in each parcel of land, the type of ownership they hold, existing leases on the land, what the leases are for and when they are due to expire. Landowners who plan to negotiate a new lease agreement or who are considering new land use options for the property should review this information carefully. This form is mailed to IIM account holders on a quarterly basis along with the IIM Statement of Account. Accounts with low balances and minimal activity will receive a statement only once a year. Many people believe the BIA and OST will always know where they are. They won’t! People end up on the “Whereabouts Unknown” list for several reasons. For example, when a person dies without a will, his or her assets may go to his or her living heirs. Many times those heirs are not living in the same area, and no one knows where they are. Often people move and forget to notify the BIA or OST, especially if they don’t have an active account when they move. According to recent data, there are more than 102,000 individuals on the OST’s Whereabouts Unknown list with $66 million in trust assets in their accounts. That’s a lot of unclaimed Indian money! Go to OST’s website and click on the link “Is OST Holding Money for You?” to see a list of people on the Whereabouts Unknown list. Fill out the Instructions for Disbursement of Funds and Change of Address form found on OST’s website and return it to the OST’s central offices in Albuquerque, New Mexico. Appraisals are used to determine the fair market value for Indian trust land and resources. While requirements may vary from region to region, appraisals are generally required for land sales, land exchanges, land consolidations, gift deeds, rights of way and leases. It should be noted, however, that an appraisal of value, does not necessarily determine the actual price. In a land sale or lease, for example, a landowner may choose to negotiate for more than the appraised value. However, in most cases, especially when the tribe is the buyer, the landowner sells for the appraised value. For allotments held in undivided interests, an appraisal is completed based on the value of the entire allotment and then divided by the percentage of interest held. For example, if the value of an entire 160 acre allotment is $10,000 and an individual’s ownership interest is 1/10, the appraised value of his or her land would be $1,000. In general, an appraisal is considered valid for one year, though this depends on how fast the land values are changing. As such, if an appraisal is requested on behalf of multiple co-owners of an allotment within a year’s time, only one appraisal would be required to determine the value of that allotment. This allows the BIA to cut down on the number of appraisals it pays for. To request an appraisal, the appropriate BIA realty office or tribal land office will send a request for appraisal services to the Office of the Special Trustee for American Indians (OST). The appraisal request identifies specific items to be addressed in the appraisal, such as: the transaction type (lease, sale exchange, right of way, etc. ), property type (agricultural, residential, commercial, industrial, recreational, etc. ), and whether there are utilities present and which kind. If there are no problems with the request, OST will forward the request either to an in-house appraiser or to a contract appraiser. When a contractor receives an appraisal request, he or she must prepare a statement of work and submit it to OST for consideration. Once a contract for the appraisal is awarded, the appraiser can begin the appraisal process, which he or she is required to complete within 90 days. When the appraisal is complete, the appraiser submits it to the Office of Appraisal Services (OAS) which is overseen by OST, for review and final approval. Appraisals of Indian land must comply with certain standards, but because every piece of property is unique, there is no one form or format used by all appraisers. All appraisers working or contracting for OST are required to follow the Uniform Standards of Professional Appraisal Practice (USPAP) and are required to be certified general appraisers. However, the content of each appraisal varies, sometimes dramatically, based on multiple factors, such as whether the land or property is residential, commercial or agricultural, where it is located, the condition of existing structures, and the determined valued of comparable properties in the area. In some regions, such as the Great Plains, the BIA realty office or tribal land office does not automatically send the landowner a copy of the full appraisal when it is completed. Instead, a letter is sent to the landowner with the estimation of value that was determined. In other regions and area offices, such as the Minnesota Agency in the Midwest Region, the entire appraisal is sent to the landowner upon completion. Either way, the landowner always has the right to review the full appraisal upon request. Depending on whether the appraisal is completed by an in-house appraiser or outsourced to a contractor, it can take anywhere from 160 to 190 days to receive an appraisal once the request has been made. There are several factors that can affect this timeline, such as geographic isolation of the property or a unique natural resource, that require the appraiser to spend more time acquiring data or information to support an opinion of value. Other factors can decrease the timeline. For example, in some areas (such as the Great Plains) multi-year appraisal contracts are used. These reduce the amount of time it takes to get an appraisal completed by eliminating the need to advertise and award a separate contract for each appraisal. This also eliminates the need to develop a statement of work for each contract and have it reviewed. The BIA is required to pay for all appraisals of Indian trust land, even if the cost of the appraisal is greater than the value of the land. The only exception is in the case of a right of way, when the person or company seeking the right of way has to foot the bill. The Claims Settlement Act of 2010 authorized approval of the $3.4 billion Indian Trust Settlement, which allocates $1.9 billion to the Indian Trust Land Consolidation Fund for the purchase of individual trust land undivided interests. Undivided interests purchased through the program will be returned to the tribe with the goal of reducing fractionation and consolidating the tribal land base. 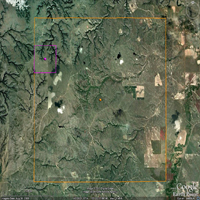 Once the process and procedures for purchasing the trust land have been determined, Indian landowners across Indian Country will be contacted by the overseeing agency-likely the BIA-and invited to sell their individual ownerships interests in fractionated parcels. Consolidating trust lands and reducing fractionation are definitely good things. At the same time, individual landowners should carefully consider any decision to sell their lands. There may be other options, such as a gift conveyance or partition, that would accomplish the same goals, but in a way that allows the landowner or his or her family to keep control of the assets. After the Application for the Sale of Indian Land and supporting documents (such as the Individual Trust Interest Report (ITI), survey and plat map and Cobell Notice and Waiver and Confirmation of Consultation) are submitted to either the tribal land office or BIA realty office, a request for appraisal will be submitted. Once the appraisal is completed, it will be sent to the landowner with a copy of the deed for sale. The landowner can either accept the appraised value for the land or try to negotiate for more. The BIA is obligated to support the landowner in these negotiations, regardless of the asking price. If a satisfactory deal cannot be reached between both parties, the landowner can choose to not sell the land at that point. The land is not sold until the deed is signed. If a deal is reached, the deed will be signed by both parties and the money for the sale will be dispersed to the landowner’s IIM account. 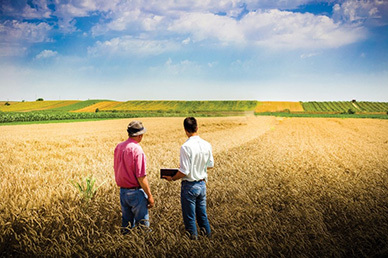 One source reported that a land sale process in the Great Plains Region takes anywhere from one to three months, depending on the complexity of the sale and how many owners are involved. A source from the Midwest Region claimed that six to eight months would be possible, but considered very fast. This source pointed out that changes to the system resulting from the Cobell lawsuit may improve transparency but have decreased efficiency. Some processes now take quite a bit longer. Land exchanges are one of the most important tools that individuals have in overcoming the challenges of fractionated ownership. A land exchange allows landowners to consolidate their multiple undivided interests so that they can either gain a larger share of an allotment or an entire tract of land. The more interest a landowner has in a tract of land, the more control he or she has over land use decisions, such as building a home, farming, leasing or starting a business. An Application for Exchange of Indian Land usually has to be approved by both the BIA and the tribal government and is subject to the terms in the Code of Federal Regulations, 25 CFR 151.7 and 151.10. Tribal regulations on exchangeable and non-exchangeable land may vary from reservation to reservation. As such, the form for land exchanges will also vary somewhat, depending upon each tribe’s land use priorities and plans. It should also be noted that land exchanges may not be possible on all reservations. Landowners who are exchanging for land in an allotment where they are not already a co-owner will need to acquire the consent of all of the owners in the allotment. (The BIA can provide names and contact information for all of the owners.) When contacting the other owners, it is important to make them aware that if their undivided interest is not part of the exchange, the size of their interest and the income they receive will not be affected by the exchange. Ultimately, this is a good deal for everyone because the fewer owners there are, the easier it is to do anything with the land. Once all of the signatures are collected (unless the exchange is for tribal land or land where the landowner is already a co-owner) the application is submitted to the tribal land office or BIA realty office. They will submit the application to the BIA area office, along with a Title Status Report (TSR) and other documentation, and request an appraisal to determine the value of the properties. It should be noted that even if equal amounts of land are being exchanged (i.e. 1/16 for 1/16) they may not be equal in value. Occasionally, landowners will have to pay some amount of money (in cash) to make up the difference. If the application is approved, the BIA realty office will make the necessary changes to the land ownership files. These changes will appear on the landowners ownership documents such as the ITI Report and the IIM Statement of Account. Because of the multiple levels of approval and processing, land exchanges can take a long time to complete. 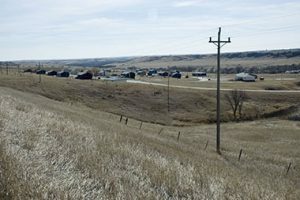 For example, according to a recent study, the average time required to complete a land exchange on the Pine Ridge Indian Reservation is 4.5 years. With very few exceptions, an Application to Lease Indian Trust Land (residential, business, agricultural, mineral and gas) must be approved by the secretary of the interior. Even tribes that have compacted to provide their own realty services must follow federal regulations and ultimately have all leases go through the BIA for approval. Stipulations established in the Indian Land Consolidation Act (ILCA) of 1983 and the American Indian Probate Reform Act (AIPRA) of 2004 also require written consent from a majority of the undivided interest holders in an allotment for a lease to be approved (see “Landowner Consent Requirements“ below). According to federal regulations, in order to acquire majority consent for a lease, the secretary can provide consent on behalf of some groups of landowners, such as minors, those whose whereabouts are unknown, and certain heirs of an estate. As a result, some leasing decisions are made without the knowledge and full consent of all landowners. Whether it is an Indian or non-Indian person seeking to lease Indian trust land, the process is the same. An application to lease must be submitted to the appropriate BIA realty office, including the required landowner consent. Upon written request, the BIA will provide the lessee (the person seeking to lease the land) with a list of the landowners’ names and addresses to acquire necessary consent. When a lease is about to expire-about 13 months before the lease ends-the BIA sends landowners a notice explaining what they need to do to lease their land along with an appraised value for the land. Landowners have 90 days to negotiate a new lease on their own. If they fail to do so, the land will remain in the federal leasing system and the bidding process will begin automatically. “Bid sheets” listing Indian lands available to be leased will be posted in newspapers, post offices, and other public places. In order to bid on land, potential lessees must submit a sealed (not public) bid to the BIA. The highest bids are selected and the lease agreement is drafted. After the lessee signs the lease, it is sent to tribal realty or the agency for approval. The superintendent approves the lease, and then it is sent to the Land Titles and Records Office for recording. Landowners are sent a copy of the lease once the process is completed. Once a lease is approved, lease payments are submitted to the BIA, processed by OST, and deposited into IIM accounts for disbursement to individual landowners and tribes. These payments will be shown on the IIM Statement of Account. Lease agreements are usually negotiated by the BIA on behalf of the landowners, but landowners can and should have a say in the terms of the lease agreement, including the type of use, the length of the lease, and the amount to be paid. When landowners receive letters requesting consent to lease their lands, they should read these carefully and ask questions before signing anything. Local landowner associations or tribal land offices can be a good resource for information on leasing. In addition, the IIM Statement of Account and List of Real Property Assets both list detailed information about any leases held on a trust account holder’s lands, including when those leases expire. This is a good place to start for individuals who would like to learn more about how their lands are currently being managed and would like to take a more proactive role in future lease negotiations. 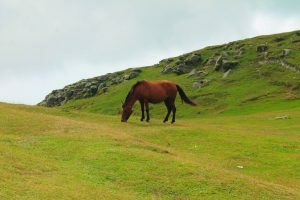 It should be noted that an Indian landowner who owns fractional interests in trust property must also obtain permission for a lease for any specified use of the land from a majority of the total landownership. As with any other lessee, the Indian interest holder must pay his or her co-owners at least fair market value for this use, unless the other owners have waived their right to receive rental income. Waiving the right to receive rental income is relatively common among families where there are only a few owners in the allotment. Once a completed application has been submitted, it could take anywhere from a few months to more than a year for a lease to be approved. Tribal consent is not required for the BIA to approve a lease on trust land where the tribe owns a minority interest and minimum consent has been obtained. Rights of way are agreements allowing one person or entity to cross property that is owned by another party. Examples of rights of way include public and private roads, pipelines, power lines and railroad tracks. Ever since the General Allotment Act of 1887, which transferred the title and oversight of all reservation land to the federal government, thousands of rights of way have been granted across Indian land. The permissions granted by rights of way vary quite a bit, ranging from perpetual easements for transportation or communication routes to short-duration rights of way for construction or servicing of sites. Some rights of way affect one allotment or parcel of tribal land while others cross hundreds of allotments and involve thousands of individual Indian trust land owners, including the tribes. Individuals or companies requesting a right of way across Indian land must comply with all federal regulations and procedures as detailed in Code of Federal Regulations 25 CFR 169 (click here for full document). This is a very complex process requiring extensive documentation and reporting. In the end, the tribe and Indian landowners must sign a Consent of Landowners to Grant Right of Way before any right of way across Indian land can be granted. Landowners will be notified of any right of way requests. Initial notification will seek a landowner’s permission to enter the land for survey and mapping purposes. An appraisal of the land will also be requested. In most cases, the appraisal is paid for by the party seeking the right of way. It provides an opinion of the land’s value and it is used to negotiate the terms and conditions of the right of way, including “just compensation” to the property owner. Just compensation is measured as the difference between the value of the entire property before the taking and the value of the remainder after the taking. Severance damages may also figure into the calculation if there is a decrease in the value of the remainder related to the activities. Landowners are encouraged to accompany the appraiser during the inspection of the property. If a landowner or tribe does not agree with the appraisal’s findings, another appraisal can be requested, but it would be up to the property owner to pay for any additional appraisals. Before approving a right of way, tribes and landowners should extensively research existing rights of way across their lands as well as the company or entity seeking the right of way. During the negotiation process, landowners should clearly communicate their bottom line financially and in caring for land. 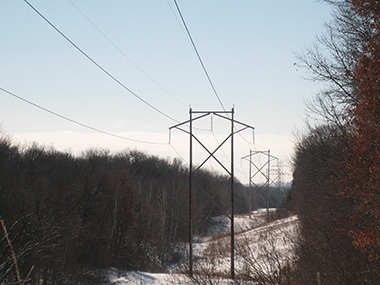 Tribal governments should clarify policy considerations such as those regarding taxation, environmental and other land regulations and restrictions, and community needs regarding the utility. Note: For more detailed information on how to appraise, negotiate and manage a right of way across Indian land, see Message Runner, Vol. 3. Compile a list of all right of way documentation related to their lands. Obtain copies of current rates and agreements that have already been negotiated on the right of way with the tribe and other trust land owners. Be aware of the availability of third party condemnation for individual Indian-owned land. Gather information and data on the acquiring party. What do they want? How far will they be willing to go for the right of way? Share all information collected with other undivided interest holders of the land. Create a journal of every communication, writing down to whom they spoke, the subject of the discussion, and when the discussion took place. Whenever possible, they should include a third party in the discussions and record that person’s name as well. When granting a right of way, tribes and landowners should insist on setting a time limit as part of the terms. According to the federal laws governing rights of way, unless a time limit is part of the governing document, the right of way will be granted perpetually by default. 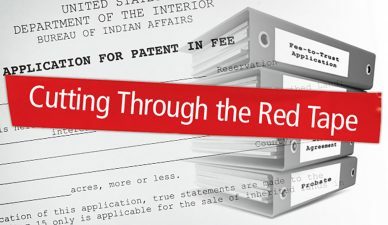 Trust-to-fee transfers, also known as fee patents or patents-in-fee, have a long and sometimes painful history among many Indian people and tribes. In 1906, the Burke Act was passed, which authorized the secretary of the interior to decide whether an Indian person was “competent” to manage his or her lands. If he or she was deemed “competent,” the secretary could take the land out of trust in a “forced fee patent” making the land taxable and available to be sold. The secretary of the interior was authorized to do this with or without the knowledge and/or against the wishes of the allottee. Thus, some Indian people during the early 20th century, including many Indian soldiers away fighting in WWI, ended up having their land sold in tax foreclosure auctions because they owed taxes on land they thought was still in trust. More recently, some Indian landowners have had concerns that they would not be able to pass their trust land on to a non-Indian spouse or child who does not have the degree of blood quantum required by the tribe for enrollment. In some cases, these landowners have chosen to transfer their trust lands to fee status so they could safely keep their lands in their family. However, there are other options-such as writing a will that includes a life estate for family members. The Application for Patent-in-Fee was last updated in 1955-over half-a-century ago-though it is still the standard form used by the BIA to process a trust-to-fee transfer. Like most of the other BIA forms in this publication, it includes the usual invasive questions about marital status, income and use or proposed use of the land. Compared to the amount of information and documentation required to put land back into trust (in a fee-to-trust transfer), transferring land from trust-to-fee is relatively simple and fast. While there was a time when a trust-to-fee transfer could take as little as three weeks, these days it generally takes somewhere between three to six months, largely due to the appraisal required. Congressional approval is required to dispose of tribal land, though it’s rare for a tribe to transfer land from trust to fee status. What Happens When Indian Land Goes out of Trust? The land can easily be sold or transferred to a non-Indian. Checkerboarding on the reservation increases. The tribe loses jurisdiction over the land, diminishing tribal control and sovereignty. In most instances, the land becomes subjected to county zoning and land use codes. Federal programs for trust lands are no longer accessible. It’s very hard to return the land to trust status again in the future. Having fee simple lands transferred into federal trust status is a powerful tool for making reservations whole and protecting Indian lands for future generations. 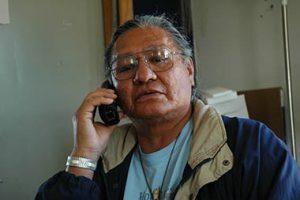 When fee lands are returned to trust, Indian nations and people begin to eliminate the checkerboard pattern of trust and fee lands and regain control of lands on the reservation. Trust lands are protected from sale or default to non- Indians, are free from county taxation and are within tribal jurisdiction. Having lands in trust status also allows individual Indian landowners and tribes to take advantage of federal programs restricted to trust lands, such as opportunities for business development, housing, environmental and cultural protection. Before submitting the Application for Trust Acquisition of Fee Land the tribe or landowner should take time to gather all of the required information and discuss the application with the BIA realty or tribal land office staff. It is important to make sure that the initial application is completed carefully, with special attention paid to the criteria required for the secretary of the interior to authorize a request as identified in 25 CFR 151.10. Getting advice from other tribes or individuals who have been successful with fee-to-trust applications is also a good idea. When the application is submitted to the BIA, the tribe or landowner should have a copy made that is dated, stamped and initialed by the realty staff. The realty staff will review the application and then submit it to the superintendent with a recommendation. At this point, applicants should request a copy of the recommendation and make sure everything in the application is still accurate. Upon receipt of the application, the superintendent will notify the state and local governments who have regulatory jurisdiction over the land to be acquired. These entities have 30 days to provide written comments as to the acquisition’s potential impacts on regulatory jurisdiction, real property taxes and special assessments. The applicant is provided with a copy of these written comments and is given a “reasonable time” in which to reply and/or request that the secretary issue a decision. If everything goes smoothly, the land will be put into trust at this point. However, if the state protests, the application can go first to the Interior Board of Indian Appeals (IBIA) and ultimately end up in federal court. It is important to note that once the initial application has been submitted, applicants need to stay on top of the application’s whereabouts and status by making regular phone calls to the realty office to check in. As a general rule, one week that someone is not contacted regarding the application is equal to one extra month added on to the overall time to process the application. Local and county governments will sometimes challenge fee-to-trust transfers because it could result in loss of tax revenue and jurisdiction. In some cases, Indian nations have to be prepared to educate neighboring communities about the importance and benefits of restoring Indian lands to Indian control and trust status. Some of the benefits include: economic development and jobs, new community amenities, and natural or cultural resource protection. Individuals seeking to have fee lands transferred to trust status can also encounter resistance either from the tribe, the BIA or other entities. In general, the BIA gives priority to tribal over individual fee-to-trust transfers. Attitudes toward individual fee-to-trust transfers can vary dramatically from one region or agency to the next, and, these attitudes can influence the process itself. Landowners should fully understand their rights and responsibilities regarding fee-to-trust transfers and be prepared to advocate for their position every step of the way. Generally, the fee-to-trust process takes anywhere from 12 to 18 months. Occasionally a transfer will take less time, eight or nine months, but this is rare, and is usually due to extreme persistence on the part of the tribe or individual landowner who has submitted the request. A request may also take much longer if the case is complicated by any number of factors. Diligence and persistent follow-up are important. When Indian lands were allotted and the federal trust was established in the late 1800s, it’s not surprising that very few Indian people considered writing a will to protect their lands and assets when they passed on. The state probate laws determining trust land inheritance divided up land ownership amongst all of the original allottee’s heirs into undivided interests. With each passing generation, the undivided interests continued to be passed down to all heirs and the number of owners grew, and continues to grow exponentially, resulting in the highly fractionated ownership of much of Indian land today. Many state probate laws passed ownership to the surviving spouse, even if he or she was non-Indian. Because a non-Indian cannot hold trust land, this land lost its trust status, causing more land to go out of Indian control. In 2004, the American Indian Probate Reform Act established a uniform federal probate code which applies to nearly all allotted reservations in the U.S. It includes provisions meant to decrease fractionation by setting limits on who can inherit Indian trust land and allowing for the sale of small interests at probate. Unfortunately, those provisions allow the federal government, rather than the landowner, to make decisions about the distribution of land and assets once the landowner is deceased. AIPRA automatically applies to all Indian probates of trust land in the U.S. unless there is a tribal probate code in place or the landowner has a valid will. Does not apply if there is a tribal probate code in place or the decedent has a will. Otherwise, applies to all trust land and assets. Applies to those who died on or after June 20, 2006. Allows only an “Indian” person to inherit or purchase trust land at probate. This includes: eligible heirs who meet AIPRA’s definition of “Indian,” a co-owner in the allotment, the tribe, and non Indian children of lineal descent within two generations of the decedent. Spouse, Indian or non-Indian, receives a life estate, but does not inherit the interests. The interests pass equally first to eligible children, then grandchildren (if no children), then great-grandchildren (if no grandchildren, etc. ), then surviving parents, then siblings, then the tribe, then co-owners, then to the secretary of the interior for sale. Spouse, Indian or non-Indian, receives a life estate only if he or she is living on the parcel at the time of the decedent’s death. If none of the above heirs exist, the interests pass to the tribe, then co-owners, then to the secretary of the interior for sale. Purchases at probate of interests less than five percent can occur without the consent of a surviving spouse and heirs. Amendments to the law state that only the tribe or secretary can purchase interests without consent. Purchases at probate of interests greater than five percent require the consent of the surviving spouse and heirs. Allow an Indian spouse to inherit trust land. Transfer trust land to some individuals that are not considered eligible under AIPRA. Choose to leave someone out of the will. Actively protect trust land from further fractionation by leaving all of the interests in an allotment to one person. Choose a life estate or joint tenancy with right of survivorship so that all family members can benefit from the land during their lifetimes. Clarify wishes in regard to non-trust land and other personal property. Make the probate process much easier for living family members. Landowners should prepare their wills with the help of an attorney who is familiar with AIPRA and with the probate and transference of Indian trust lands and assets. There are legal service agencies throughout Indian Country who specialize in writing wills for Indian people. Most of these organizations can provide will writing services at a very low cost or sometimes free. Names and addresses of family members or other individuals to whom the property will be left. List of personal property to be left and to whom. Individual Indian Monies Statement of Account. Deeds for fee land (if any). Mortgage and title documents for home and other property (if any). In order to write a valid will, an individual must be at least 18 years of age and fully competent to manage his or her own affairs. The will must be signed by the person who is writing it and two witnesses who are not receiving anything from the will. Sometimes people will have a notary sign as well. An affidavit signed by the witnesses will also accompany the will. This document is to ensure that the legitimacy of the witness signatures is not questioned at probate if they are not able to attend. The sooner a will is prepared the better. Once a will is in place, it can always be legally amended or a new will can be written. It’s a good idea to review a will after major events such as a birth, death or marriage that may affect the will. Gift deeds are one of the quickest and most simple tools available to Indian trust landowners to consolidate their lands and prevent further fractionation of their interests. (Land sales and exchanges, discussed in the previous section, are also good ways to consolidate and protect Indian trust lands.) Unlike writing a will, an attorney is not required to process the Application for Gift Deed of Indian Land, making it a viable option for those who do not have immediate access to legal services. It should be noted, however, that a will is always the best way to make sure land and assets are distributed in the manner that the individual chooses. Through a gift conveyance with life estates retained, which means that the grantor can maintain land use, benefits and income from all or a portion the land until they die. A gift deed or gift conveyance with life estates keeps lands from being further divided, keeps lands out of the probate process, and allows the landowner to make sure that the land will be passed on without having to specifically include it in a will. Currently regulations do allow for gift deeding trust lands to a non- Indian. However, the trust status of the land cannot be terminated for a period of five years after the secretary of the interior approves the conveyance. When a gift deed application is first submitted, either to the tribal or BIA realty office, it must be signed by the grantor in front of a witness and/or notary and include the Cobell Notice and Waiver and Confirmation of Consultation (which are also required for a land sale). Supporting documents, such as legal land description, survey or plat map, Title Status Report (TSR), Individual Trust Interest Report (ITI), and an appraisal, are also required to process the application. It should also be noted that, as in a land sale, majority consent is required from the co-owners of the allotment to gift deed one’s shares to someone who is not a co-owner. Once the application is complete, including the supporting documents, a deed showing the transfer of ownership is prepared and the application is sent to the BIA superintendent for approval. If approved, the application is then routed to the Land Titles and Records Office for recording. Similar to a land sale, the gift deed process can take anywhere from one to eight months or more, depending on the complexity of the application and procedural differences that vary from region to region.